NTFS, an acronym that stands for New Technology File System, is a file system first introduced by Microsoft in 1993 with the release of Windows NT 3.1. NTFS is the primary file system used in Microsoft's Windows 10, Windows 8, Windows 7, Windows Vista, Windows XP, Windows 2000, and Windows NT operating systems. The Windows Server line of operating systems also primarily use NTFS. The file system is also supported in other operating systems like Linux and BSD. macOS has read-only support for NTFS. There are a few different ways to check if a hard drive has been formatted with NTFS, or if it's using a different file system. The first and probably easiest way to the status of one or more drives is to use Disk Management. See How Do I Open Disk Management in Windows? if you've never worked with Disk Management before. The file system is listed right here, alongside the volume and other details about the drive. Another way to check to see if a drive was formatted with the NTFS file system is by right-clicking or tap-and-holding the drive in question, directly from Windows Explorer. Then, choose Properties from the drop-down menu. Read what's next to File system in the General tab. If the drive is NTFS, it will read File system: NTFS. Yet another way to see which file system a hard drive is using it through the command-line interface. The command fsutil fsinfo volumeinfo C: | findstr "System" can be used instead to trim down the results. To check a different hard drive, use that drive's volume letter in place of C:. If you don't know the drive letter, you can get an on-screen print out using the fsutil fsinfo drives command. Theoretically, NTFS can support hard drives up to just under 16 EB. Individual file size is capped at just under 256 TB, at least in Windows 8 and Windows 10, as well as in some newer Windows Server versions. NTFS supports disk usage quotas. Disk usage quotas are set by an administrator to restrict the amount of disk space that a user can take up. It's used mainly to control the amount of shared disk space someone can use, usually on a network drive. File attributes previously unseen in Windows operating systems, like the compressed attribute and indexed attribute, are available with NTFS-formatted drives. Encrypting File System (EFS) is another feature supported by NTFS. EFS provides file-level encryption, which means that individual files and folders can be encrypted. This is a different feature than full-disk encryption, which is the encryption of an entire drive (like what's seen in these disk encryption programs). NTFS is a journaling file system, which means it provides a way for system changes to be written to a log, or a journal, before the changes are actually written. This allows the file system to revert to previous, well-working conditions in the event of a failure because the new changes have yet to be committed. Volume Shadow Copy Service (VSS) is an NTFS feature that can be used by online backup service programs and other backup software tools to back up files that are currently being used, as well as by Windows itself to store backups of your files. Another feature introduced in this file system is called transactional NTFS. This feature allows software developers to build applications that either completely succeed or completely fail. Programs that take advantage of transactional NTFS don't run the risk of applying a few changes that do work as well as a few changes that don't, a recipe for serious problems. 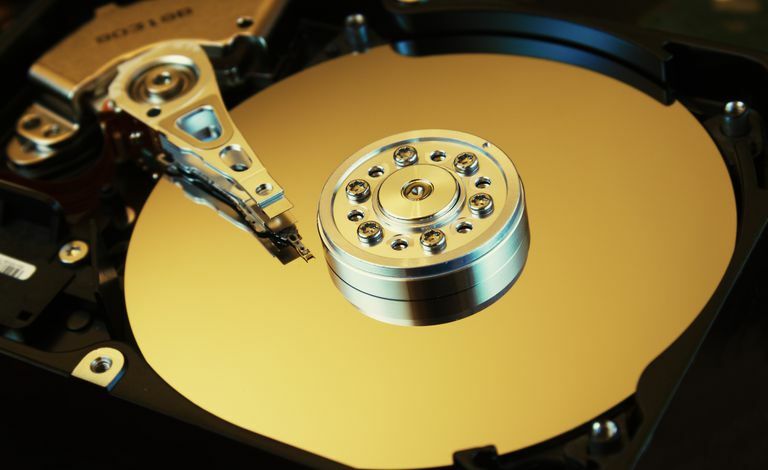 Transactional NTFS is a really interesting topic. You can read more about it on in these pieces from Wikipedia and Microsoft. NTFS includes other features as well, such as hard links, sparse files, and reparse points. The FAT file system was the primary file system in Microsoft's older operating systems and, for the most part, NTFS has replaced it. However, all versions of Windows still support FAT and it's common to find drives formatted using it instead of NTFS. The exFAT file system is a newer file system but is designed to be used where NTFS doesn't work well, like on flash drives. What Is a Volume Label of a Drive? What Are File Attributes and What Do They Mean? What Does It Mean to Format a Computer Drive?